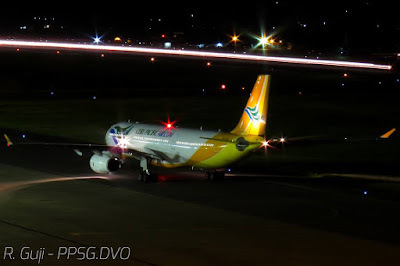 Aviation Updates Philippines - The Philippines' leading budget carrier, the Gokongwei-led Cebu Pacific Air plans to acquire two more Airbus A330-300 aircraft as the airline continues to expand globally. According to President and CEO Lance Gokongwei, "That is under consideration because we're looking to fly to additional routes particularly Honolulu or increasing potential flights to the Middle East." Cebu Pacific currently operates 57 aircraft. The fleet is dominated by European plane maker Airbus which 49 of 57 in the fleet are Airbus made. The rest are eight ATR 72-500 manufactured by ATR in Europe. In a report by Flightglobal.com, the airline has converted its last two remaining orders of the Airbus A320-200 aircraft to Airbus A321neo orders. Cebu Pacific placed an order of 32 Airbus A321neo in total. Asian airlines are continuously placing orders for new aircraft from Airbus and Boeing as they benefit from the booming air travel economy. Meanwhile, eight Asia-Pacific airlines together with Cebu Pacific Air formed the world's first pan-regional LCC alliance named "Value Alliance."